game. It’s time to get back to the basics this weekend when Amiens will visit Luxembourg this Saturday. Amiens is also one of Tornado’s main competitors for a spotin the playoffs. At the moment, Amiens is holding the fourth position in the group with 9 points in 5 games while Tornado is holding the third position with 12 points in 6 games. Amiens has beaten Reims, Cergy and Garges and lost against Asniéres and Courbevoie. Amiens roster might be a bit of a mystery as they are thesecond team in the city and it’s never sure if they will get players from their first team. At the moment Amiens’ best point scorer has been Adrien Josse who has scored 10 points in 5 games. In the league’s stats, he is one step higher than Tornado’s best scorer, Colm Cannon. During the break Tornado has been focusing on preparing welland has tried to develop both the physical and tactical part of their game. It has been nice to see more and more players in the gym. Some Tornado players might be missing this weekend but wewill still should have a full roster. Happy news for the fans is that hockey professor Robo Beran was back on ice on Tuesday and he looked at least 20 years younger than before the injury. Anyway, this games comes too soon in his recovery and he won’t play yet. 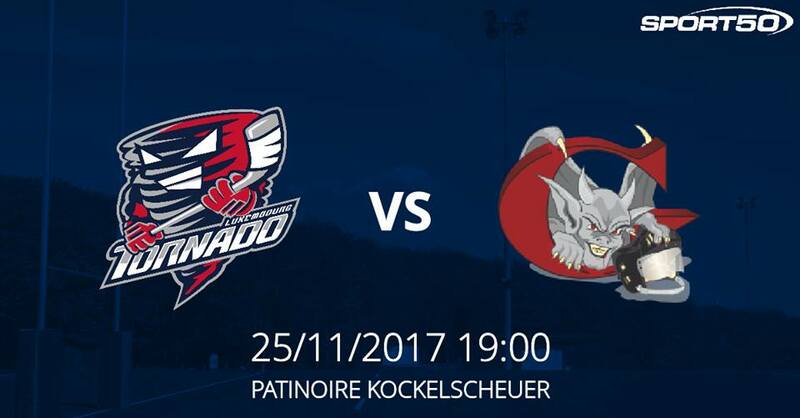 The game starts 7pm as usual in Kockelscheuer. Hopefully as many peoplewill find their way to the stands as two weeks ago. Don't miss out! Written by Teemu Hinkula, 22/11/2017 12:59.